While Apple may be a gem in the eyes of its customers, one of its newest features -- the iCloud -- is sorely lacking when it comes to applications for small-business users. Apple markets iCloud, its cloud-computing and file-syncing service, as a powerful content storage solution. But businesses can struggle to get serious productivity out of iCloud. And as an enticement for businesses looking to switch over to Apple products, iCloud doesn't begin to make the sale. 1. iCloud is personal, not professional. It is overwhelmingly geared toward individual users with more than one Apple device. The problem is that the same service used to sync music and television shows is also used to share calendars and documents between devices. Differentiating professional data, contacts, calendars and documents from personal ones, while possible, can require more time and effort than some entrepreneurs are willing to put in. Related: Steve Jobs: Victim of His Own Dogged Determination? 2. Collaboration is limited or doesn't work. Apple's iCloud is device-dependent. Group-sharing options -- for instance, syncing calendars among co-workers -- are limited, and when they are present they're restricted to other iCloud users. Not only does this require your colleagues to own an Apple device, they also must be using a compatible operating system and have an iCloud account set up. The iCloud also lacks document sharing capability. For limited document storage -- say you need to access a document on the road from your iPhone -- it can work, but the document has to be stored in your personal iCloud. Again, the iCloud is a solo experience. 3. Other business sharing solutions do it better. To some, it might seem as though Apple is trying to reinvent the wheel when it comes to business file sharing. Other team-based document sharing solutions such as San Mateo, Calif.-based Sugar Sync or Google Apps can usually be easier to set up and more flexible. The mobile version of Google Apps -- which can be accessed on an iPhone, iPad or even an iPod Touch -- is fast, stable, device-agnostic and allows for first-rate team access. All it takes is to bookmark your Google Apps account homepage in your iPhone or click on the Apps button in the Google iPhone app to create a superior solution to the iCloud. Given its limited scope and that there are so many other ways to access files from the Web, why bother with iCloud? Our bet is that most businesses won't. 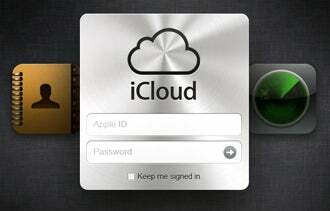 Have you tried or do you use Apple's iCloud? Tell us about your experience in the comments section below.